Well maintained sled. Nearly new wear bears with carbides. Track still has alot of tread on it. 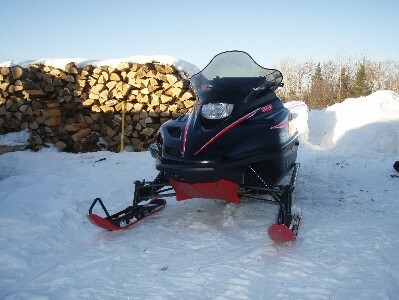 Black in color with red skis and red skidplate. Hand warmers. Nice seat. Comes with cover.